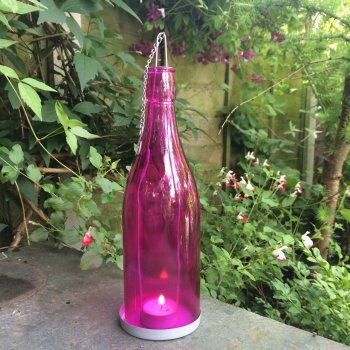 This pink bottle tea light holder will bring a splash of colour to any garden. 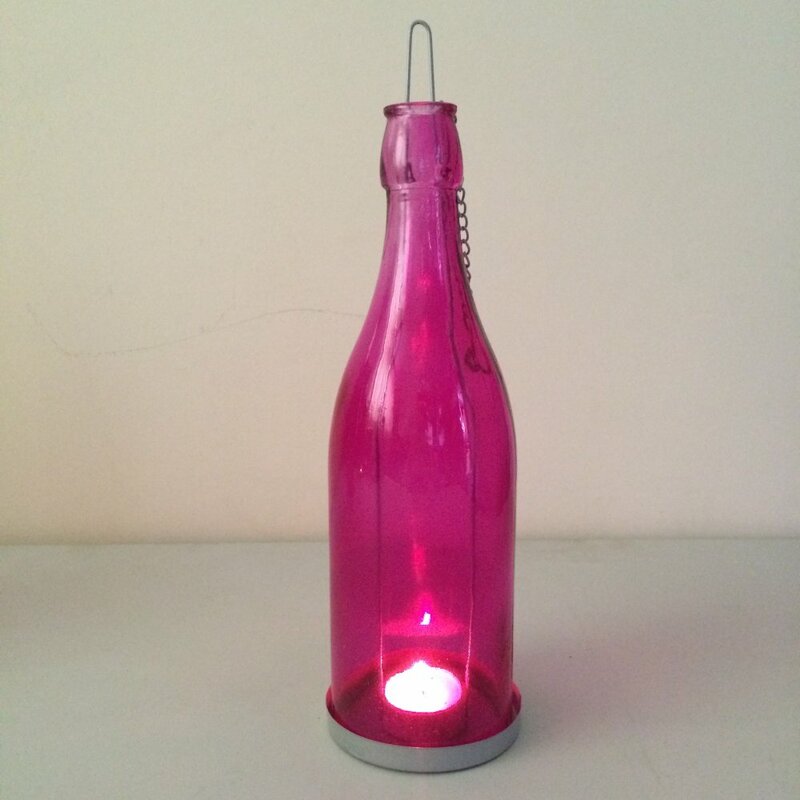 Made from a glass bottle the tea light holder has a metal base into which the glass bottle sits. You simply lift the bottle, place the tea light inside and light. There is also a handy hanging chain so the tea light holder can be hung from a tree or bracket in your garden.